I’m the Clinical Coordinator at the Richmond H.U.F. Center. Quionda received both a Bachelor’s degree in Psychology and a Master’s degree in Social Work from Eastern Michigan University. Quionda is a Licensed Clinical Social Worker and has more than 15 years of experience in the field of Human Services. 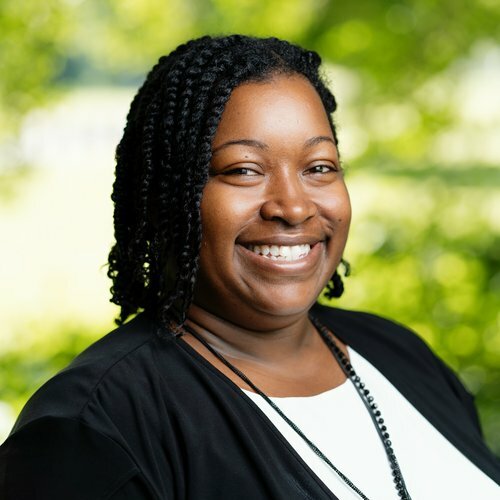 Quionda has worked in adult group homes for individuals with Severe and Persistent Mental Illness, outpatient therapy with individuals diagnosed with mood and Substance Use Disorders and community- based case management services for individuals experiencing mental health, Developmental Disabilities and homelessness. She also has several years of experience completing clinical assessments and facilitating substance abuse groups. Quionda has a strong belief in strength-based, person-centered treatment; the client is the expert. One of her favorite quotes is by John F. Kennedy “One person can make a difference, and everyone should try”. Quionda is excited to work with the case managers at the Richmond site to assist the clients with developing their strengths in order to reach the goals they have identified on their individual service plans.